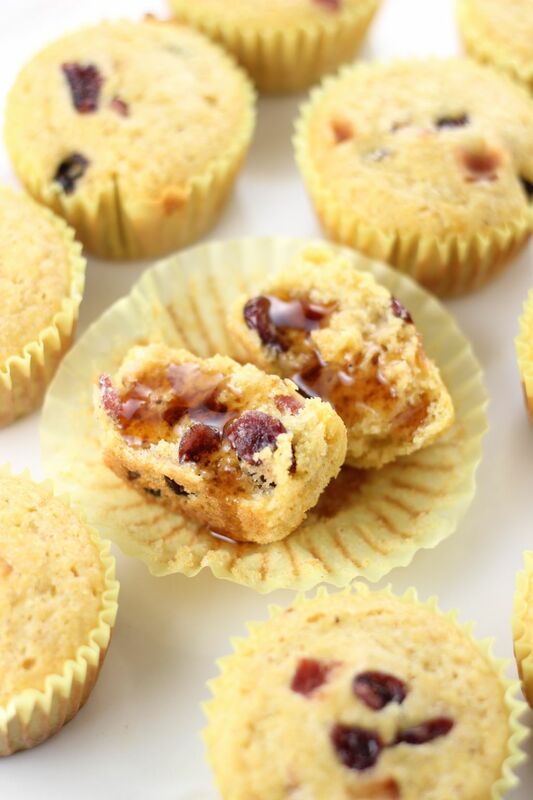 Maple syrup, crispy fried bacon, and sweetened dried cranberries make this ultra-moist cornbread extra special! 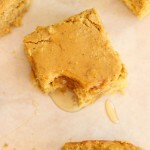 Have I got a cornbread recipe for you! I had a few cornbread catastrophes last year during the holidays, and I never got around to re-making them until after everyone was ‘over’ cornbread for the season. I was excited to give them a whirl again this year, and the first of my cornbread recipes, this Caramelized Apple & Pecan Cornbread, was a rousing success. 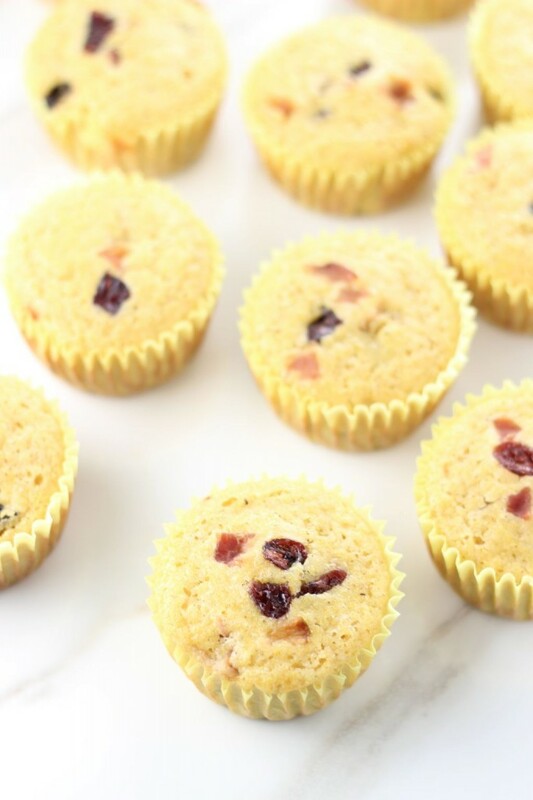 So is this version – Maple Bacon Cranberry Cornbread Muffins. It meets all my preferred criteria for the perfect cornbread. 1. It’s sweet (mostly). I love sweet cornbread. Actually, with the bacon, this one is salty too, but it’s mostly sweet, and that’s the way I basically want all cornbread to be. 2. It’s moist. Ughhhhh, everybody HATES that word, myself included, but there isn’t really a better way to describe it. I want my cornbread to be ridiculously moist. Dry cornbread is the absolute worst. I think we can all agree that we don’t want to choke when we’re eating. It has to be ultra-moist. 3. I don’t really have a third criteria, actually, other than that I want my cornbread to be generally flavorful! 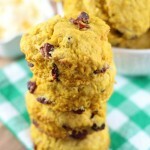 Like, with interesting mix-ins, such as pumpkin or nuts or fruit. Or all of those things at once…. that would be fun. Next year though. Yes, next year will be the year of pumpkin and maple and honey and dried fruit and some sort of nut. Maybe. Now that I think about it, are you over cornbread already this year? Perhaps cornbread went out the door with Thanksgiving. 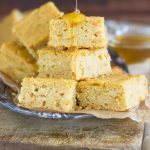 I like the idea of it for Christmas though, and I hope that other people are still making it for Christmas, so here you go, just in case you’re still looking for a unique cornbread recipe! This one has bacon in it. 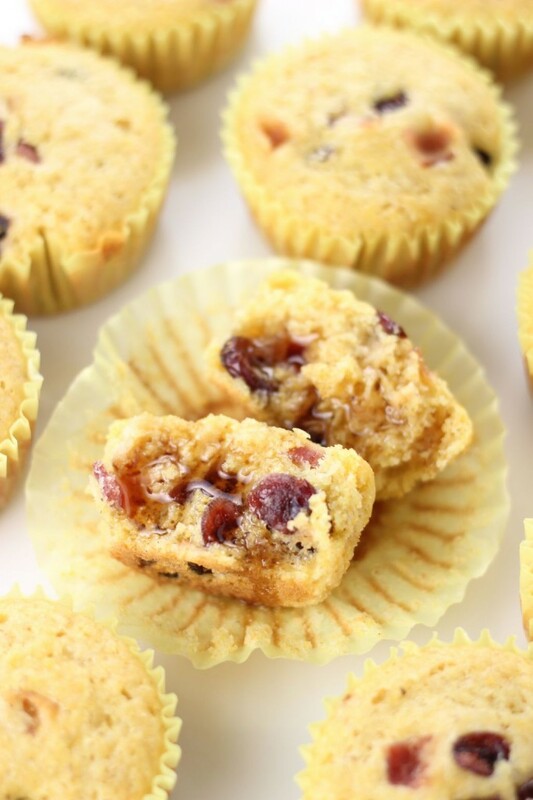 So even if you’re not looking for a cornbread recipe, aren’t you glad you know about it now? 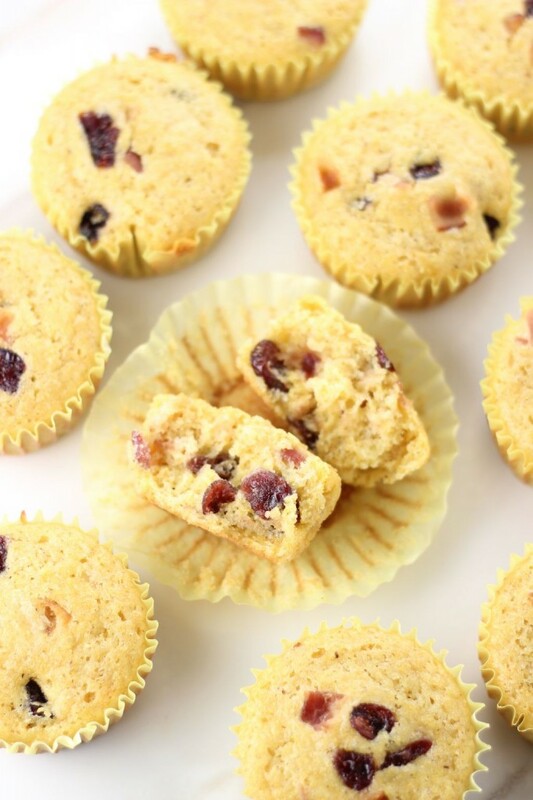 Sweetened with maple syrup and dried cranberries, and with fried bacon for that perfect sweet & salty combo, this insanely moist cornbread is a wonder! In a large bowl, combine yellow cornmeal, flour, sugar, baking powder, and baking soda, stirring them altogether. In a small bowl, combine buttermilk, creamed corn, eggs, butter, maple syrup, and maple extract, stirring them altogether. 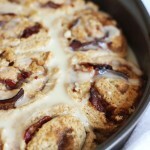 Fold in the cranberries and bacon. 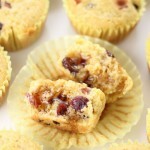 Line regular-sized muffin cups with paper liners, and fill 2/3 full with batter. Bake at 400 degrees for 10-12 minutes, or until edges are golden brown. Haha, I don’t hate the word moist! I don’t get the weird obsession with it. I like all my food moist — the moister the better 😉 These look so fun and perfect for a holiday meal! 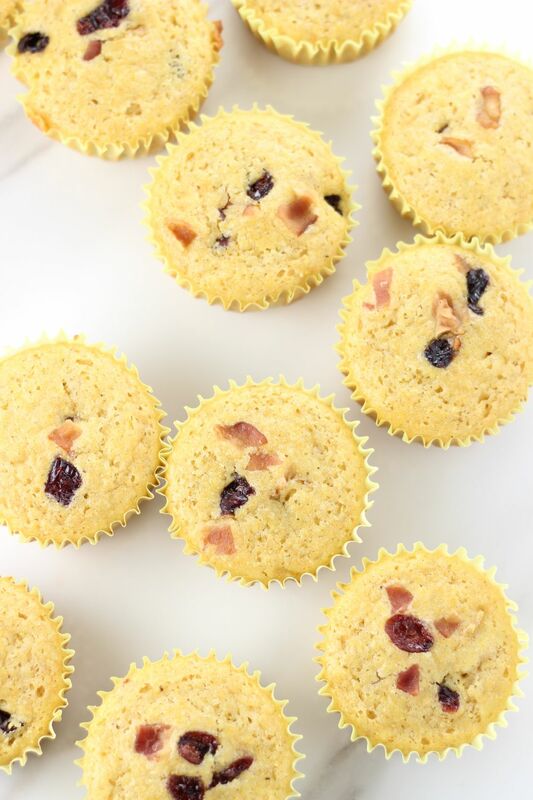 The Mr. is a huge fan of cornbread. . .and bacon. So I think this would definitely be a winning combination for him. 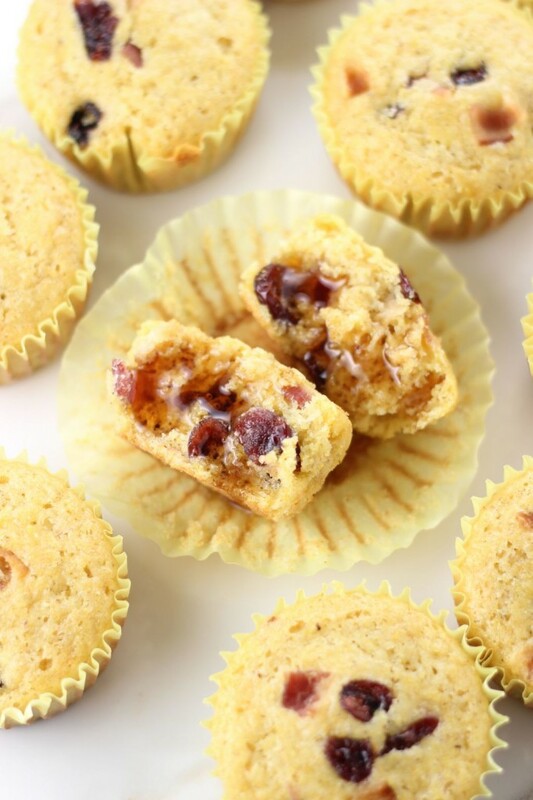 And there really is nothing wrong with a little cornbread for Christmas (who says it is reserved for Thanksgiving?). As a matter of fact I was thinking this would be an excellent thing to nibble on Christmas morning when everyone was opening their gifts. What a great idea, Lynn!! 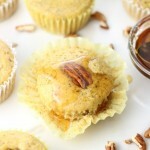 I love that – these would be perfect to go along with holiday brunch. Don’t have to be for dinner, right? That’s awesome. Happy holidays! 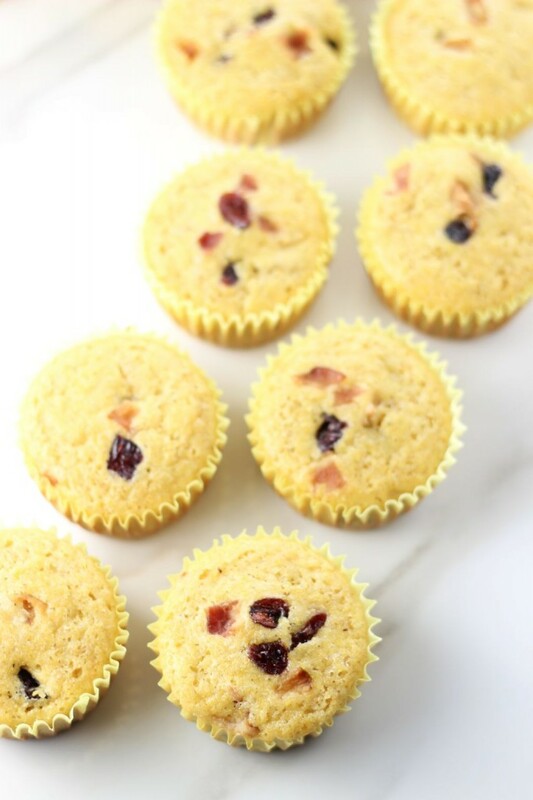 I’m with you, I think these muffins look so moist and delicious 🙂 I love the cranberries in here, they sound perfect with the bacon and maple!